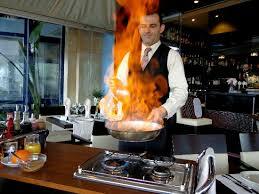 El Bravo in Denia, the perfect place for a romantic meal. I love El Bravo for special occasions or romantic dining. They are located in the new Marina in Denia. The kitchen is international with a creative twist. I love the steak prepared by the chef next to your table or try the prawns with mango chilli, but all the other dishes are equally good and the service is excellent. It’s not a big restaurant so I do suggest you book a table.